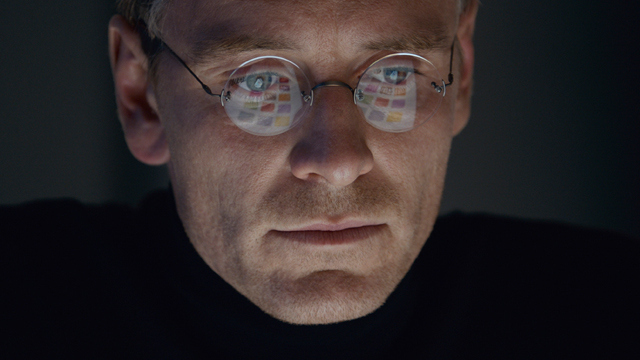 Aaron Sorkin’s new ‘Steve Jobs’ movie seems to have hit a stumbling block, grabbing a measly $7.3M at its Box Office debut, Variety is reporting. Going into the weekend, the source suggests that the picture would do as much as $19 million. According to Universal Studios, the movie can recover in the coming weeks. The report also highlights that the movie cost $30 million to make and at least as much to market, which means it needs to do at least $120 million in order to break even. Studio executives note that it is popular in major urban markets like San Francisco and New York, and argue that the film’s A minus CinemaScore means word-of-mouth will be strong. If it can stay in theaters until Golden Globe and Oscar nominations are announced, they believe it can rebound. Jeff Bock, an analyst with Exhibitor Relations, said that there was an over-inflated sense of how well this film could do. “Its only chance now is to gain awards traction”, he added. Universal’s marketing team wisely tried to emphasize the Apple founder’s fraught relationship with his daughter Lisa as a way of humanizing him in trailers and promotional materials. However, that was problematic since Jobs denied paternity and that made him a fascinating and flawed protagonist. It is also being said that the movie has debuted at a time of year when the competition is fierce for adult audiences. Steven Spielberg’s “Bridge of Spies,” Nancy Meyer’s “The Intern,” and the Johnny Depp mob movie “Black Mass” are all appealing to older crowds, further compounding issues for the Apple co-founder biopic.